As we’ve seen over the last few months, 2019 won’t just be the year of Episode IX and The Mandalorian, but a huge year in Star Wars publishing. The keyboards of authors and the printing presses of publishers are moving through hyperspace to make sure you’ve got something to read while we approach the end of the Skywalker saga. 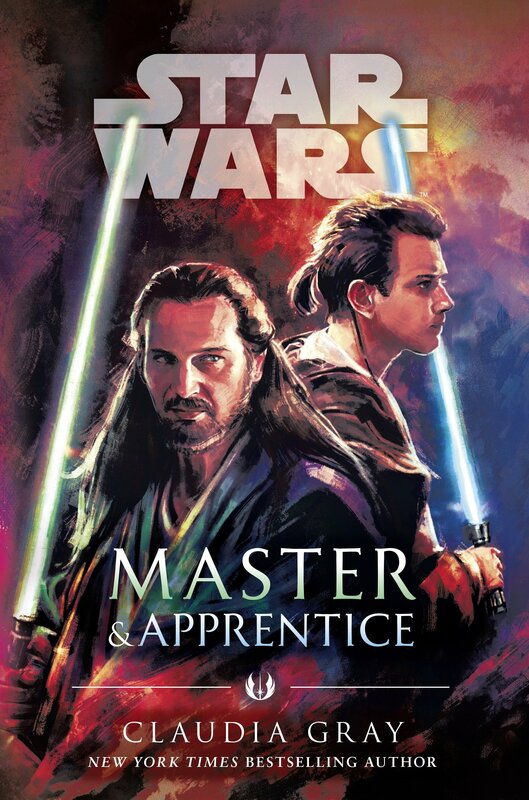 One of the most anticipated releases of 2019 is Claudia Gray’s Master & Apprentice, which will give us a look into the tutelage of Obi-Wan Kenobi under Jedi Master Qui-Gon Jinn. This morning the good folks over at Del Rey Books released the first synopsis to whet the appetite of fans. We’ve seen a few glimpses of Obi-Wan and Qui-Gon pre-The Phantom Menace in some of the Marvel titles but there’s no doubt Claudia Gray is going to tell a much bigger story here. In my opinion, Gray is without a rival in her ability to not only tell an amazing Star Wars story, but also in distinguishing herself with new perspectives on iconic characters. Fans of both these Jedi should be thrilled Gray undertook Master & Apprentice, and from the synopsis, it sounds like we are going to get a story of what it means to train a Jedi, both the optimism and the fear. An unexpected offer threatens the bond between Qui-Gon and Obi-Wan Kenobi as the two Jedi navigate a dangerous new planet and an uncertain future. A Jedi must be a fearless warrior, a guardian of justice, and a scholar in the ways of the Force. But perhaps a Jedi’s most essential duty is to pass on what they have learned. Master Yoda trained Dooku; Dooku trained Qui-Gon; and now Qui-Gon has a Padawan of his own. But while Qui-Gon has faced all manner of threats and danger as a Jedi, nothing has ever scared him like the thought of failing his apprentice. Obi-Wan has deep respect for his Master, but struggles to understand him. Why must Qui-Gon often disregard the laws that bind the Jedi? Why is Qui-Gon drawn to ancient Jedi prophecies instead of more practical concerns? And why wasn’t Obi-Wan told that Qui-Gon is considering an invitation to join the Jedi Council – knowing it would mean the end of their partnership? The simple answer scares him: Obi-Wan has failed his master. When Jedi Rael Averross, another former student of Dooku, requests their assistance with a political dispute, Jinn and Kenobi travel to the royal court of Pijal for what may be their final mission together. What should be a simple assignment quickly becomes clouded by deceit, and by visions of violent disaster that take hold in Qui-Gon’s mind. As Qui-Gon’s faith in prophecy grows, Obi-Wan’s faith in him is tested – just as a threat surfaces that will demand that Master and apprentice come together as never before, or be divided forever. I was pleasantly surprised by this synopsis. This story sounds like perfect territory for someone of Claudia Gray’s skill to drive introspective, character-driven arcs. Not only am I interested to see this pivotal moment in Qui-Gon and Obi-Wan’s relationship, but it will also be interesting to learn how the Jedi regard Dooku to this point. 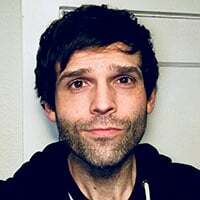 We’ve never met this Rael Averross and I wonder where he fits into Qui-Gon’s embrace of prophecy and Jedi mysticism. Fans should also be very intrigued to see what is in these ‘visions’ Qui-Gon has and if they give any warning to the rising darkness we know was looming. This book is near the top of my list of titles announced for 2019, so I can’t wait to find out. Here’s the original tweet below. Master & Apprentice will be released April 16, 2019. See you then!